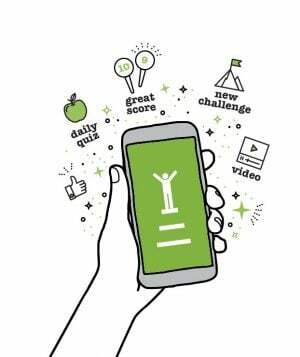 GamEffective, an award-winning eLearning and performance enterprise gamification company, announced today a set of features that enable “engagement automation”. Engagement automation is the ability to create a continuous dialogue with the employee about performance and learning, proving coaching and feedback, accomplished through a set of automated triggers and calls to action. It changes the way gamification is implemented for performance or learning, because it creates an active, personalized & automated dialogue with the employee. Examples include recognition, reminders and notifications on goals or tasks, suggestions for additional learning, as well as getting managers to provide feedback and review team performance. All engagement automation messages can include deep links that direct the employee exactly to the next task or challenge they are expected to engage with. “Just like marketing automation is used to automate marketing – personalize and make it contextual – and eliminate repetitive and time-consuming work, engagement automation is about better management and communication with employees for performance management or learning” said Gal Rimon, Founder and CEO of GamEffective. “Old-school enterprise gamification involves showing employees points, badges and leaderboards and hoping this will prompt them into action. However, research shows that people are better driven through intrinsic motivation and the existence of points, badges and leaderboards doesn’t engage employees much. Yet, people are willing to have a digital dialogue about performance and learning; gamified platforms weren’t supporting this capability. Engagement automation fills the gap since it directs employees to the right action at the right time, and ensures that a constant dialogue about performance and learning is always underway, actively prompting the employee through continuous personalized messages”. Communicating performance and learning challenges / including reminders and success messages. Automation occurs through easy to use trigger and audience mechanisms. The system administrator defines certain audiences (based on behavior, performance or learning), and the rules that should trigger any engagement automation activity. The underlying technology is a sophisticated yet easy to use rule engine within the GamEffective system. Dani Johnson, Vice President, Learning & Development Research at Bersin at Deloitte said: “Because workplace skills are turning over so rapidly, a large part of our work in the future will probably consist of learning. Organizations that build the right conditions to support this constant learning – not just systems, processes, and culture, but to a large extent, technology that helps employees learn while improving their work – will likely be more competitive”. "Just like marketing automation is used to automate marketing – personalize and make it contextual – and eliminate repetitive and time consuming work, engagement automation is about better management and communication with employees"